Commercial spiral dough mixer with 33 lt. bowl. DM: fixed head and bowl. DME: removable bowl and liftable head. 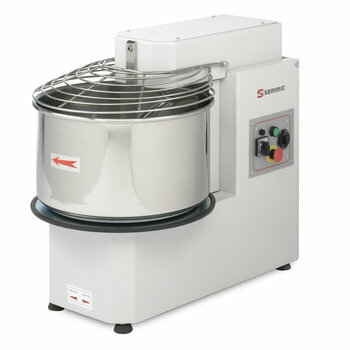 Capacity per operation: 25 Kg. Fixed head and bowl (DM) or liftable head and removable bowl (DME).